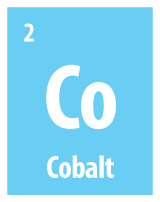 Cobalt is integral to the defence, aerospace and energy industries. Cobalt is threatened by supply disruptions due to limited domestic production. Cobalt demand is driven by production of superalloys and rechargeable batteries. Those industries have good potential and will determine cobalt market growth. 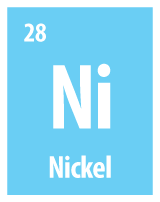 Stainless steel and other alloys are driving demand for nickel. There are continued challenges and delays in increasing output from existing overseas operations and supply will struggle to match the increase in demand. NSW has a range of opportunities for the discovery and development of nickel and cobalt resources. Read about Nickel and Cobalt mineralogy and prospectivity in NSW. Several deposits of cobalt or cobalt/nickel are being explored near Young, Condobolin and Broken Hill. Jervois Mining Limited has undertaken persistent exploration since 1998 over a blind or hidden target, located north-west of Young in central NSW has yielded vast resources of nickel, cobalt, scandium and iron. Broken Hill Prospecting Limited is a mining and exploration company that is seeking to develop the significant Pyrite Hill, Big Hill and Railway cobalt deposits located 25 km south-west of the world-famous mining centre of Broken Hill in western NSW. Clean TeQ Limited has acquired the Syerston Project in the mid-west of NSW. Syerston is potentially the largest and highest grade scandium deposit in the world. There are also areas of significant nickel and cobalt mineralisation, which will be considered in the scoping study for by-product production, to optimise the economics of the project. NSW currently has no operational cobalt or nickel mines.